Having company over with lots of mouths to feed? Here are many of my favorite choices that will let you fill their tummies yet not stretch your budget nor your time. All of these recipes are cooked in the slow cooker which makes them very easy to make! Soup recipes are a great way to fill tummies. They’re cheap, easy to make, and most of all, healthy! Just set them up in a soup station and everybody can have their fill. Creamy loaded baked potato soup with scallion garnished and fresh Italian bread. My 12 year old’s favorite meal is potato soup! I grew up not liking it very much. That is, until I added cheese to it. Then, it was suddenly delicious. Everything’s better with cheese, right? *Serves 6. multiply as needed. It definitely passed the kid test and the husband test. They were all digging in and asking if they could have more! As it seems to go in our family, we ran out of food before there were any leftovers. The best thing about sandwiches is that you can make them ahead. All of these recipes below can feed a hungry crowd but they’re so easy to prepare that all you really need to do is plan ahead. You can prepare the mixes, 2 or even 3 days before, then have the bread ready on the day itself. You can also use a sandwich station for this on like on the soup station so people can get the fillings they like. Tip: If you need to assemble ahead, use dry lettuce as a buffer between the fillings. This one will need to be cooking all night while you’re sleeping! We want it to cook extra long and slow. The longer and slower it cooks, the better it tastes! Definitely a family pleaser! Kids, even the picky ones were raving over how wonderful it was! Husband was pleased as well. It would’ve been better with some guacamole on top though! Sloppy Joes are a family favorite for quick summer time meals. 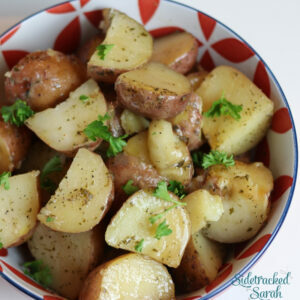 Even better when you can have it ready without much effort by using your crock pot! This one is so easy, you don’t even need to freeze the ingredients together, but it sure does make a yummy, quick-to-make meal! We sometimes eat this as tacos and we sometimes eat it as a taco salad. Either way, it’s always a hit! There’s something about eating dip …. chips, veggies, fruit, or almost anything that you can dip into different kinds of dips, makes it taste better. This is one of my family’s favorite party foods! Chile Con Queso is easy, quick, and tastes amazing! Prepare these slow cooked main dishes that will satisfy your guests and definitely make them come back for seconds. Even if you don’t prepare other food these will be satisfying! What’s better than to feed a crowd with BBQ? This BBQ sauce can be used for both pork or chicken. Cook it over some chicken in the slow cooker and cooked it all night. Your guests will surely rave about it! Who doesn’t love chili! This pot of chili is amazing to serve for company, to take camping, to eat in the fall or cold weather and just… to eat in general. Secretly, I think that side dishes are actually the best food to bring for a pot luck or to prepare for a crowd. Some people prefer to forego the main dishes and pile up on side dishes. What could be easier than Mac and Cheese. Plus cooking it in a Crockpot brings it to another level of ease. For me, I like this way better than the stovetop way. It just seems less rushed. Mashed potatoes is one of those dishes that I put off making. The peeling and chopping of the potatoes is so time consuming. Then we have to wait for them to boil. Mash them and add the butter, milk and salt/pepper. Now you can prepare them for guests using a slow cooker! Try this version of Chili Rellenos in the slow cooker. So easy! Your visitors will be amazed. This recipe is easy but not as straightforward as the others in this list. You have to brown the meat and cook the rice. But this is such as amazing addition to your crowd feeding target. Just the smell is enough to satisfy people, or make them feel hungry as is the case with me. Pin this article to save it for future reference! Slow Cooker Recipes for Thanksgiving Day!